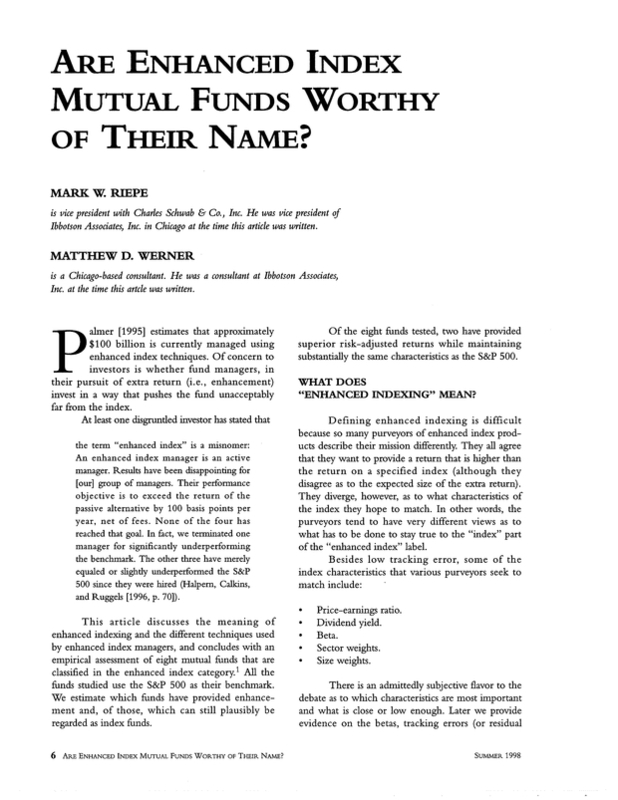 Are Enhanced Index Mutual Funds Worthy of Their Name? Vice president with Charles Schwab & Co., Inc. He was vice president of Ibbotson Associates, Inc. in Chicago at the time this article was written. A Chicago-based consultant. He was a consultant at Ibbotson Associates, Inc. at the time this article was written. You are going to email the following Are Enhanced Index Mutual Funds Worthy of Their Name?